Holy Fir Trees Its Christmas!!!! OK! What is going on December you need to give us a bit more warning before just creeping up on us like that. 4. Kitsch Xmas decorations – Dancing Santa anyone………YES PLEASE! 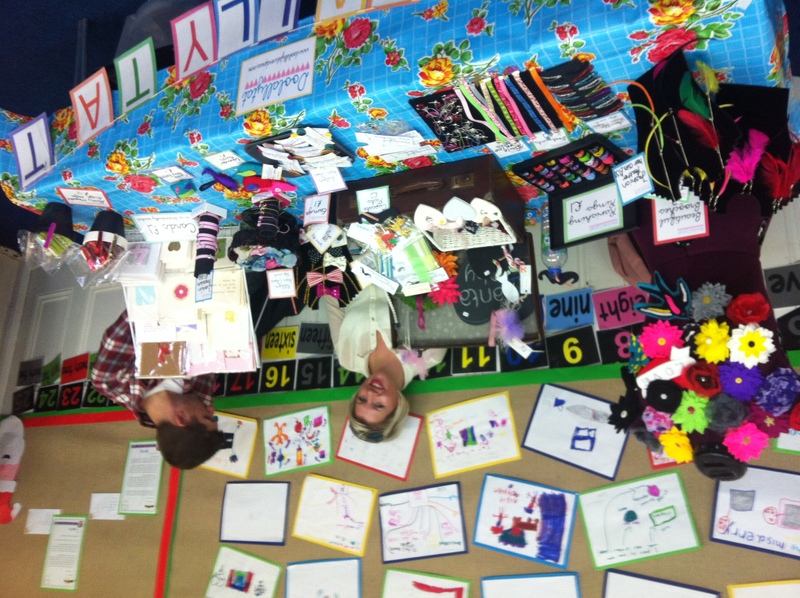 We were lucky enough to be invited to a wonderful local School called Elm Grove for their Christmas Craft Fair at the weekend. There was amazing face paint on show and lots of cake and sweets so we were in our element. We went for a Christmassy theme as you can see from the picture above with our floral table cloth and bright colours and H doing her best come buy some beautiful crafts smile. I hope you are all getting ready for a fab Christmas and that you are all on the Nice list.